As I researched the Reypenaer VSOP, I stumbled over cheeseline.com, a "European Gourmet Cheese, French Cheese, Gourmet Food source." I was captivated by this site, as here you can find a whole range of cheesy information from 14 different European countries. Cheeseline.com is an online cheese shop where you can order cheese from different country to be delivered to your door, as well as other gourmet articles. You may a search on a cheese after country, milks and textures from 14 countries including Norway and Cyprus as the most exotic countries. If you are on a diet you can also look up low fat gourmet cheeses or if you are looking for the most exclusive cheese experience you can look for the cheese with the best rating. 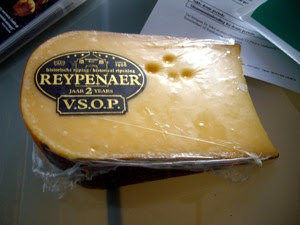 I am pleased to say that my Reypenaer is rated as the best cheese. So now I will have to share this great cheese with somebody soon! I am sad to say that only one Norwegian cheese is displayed, os the sweet Goat cheese (that often is mistaken as a kind of toffee), and from Cyprus you can get a tasty Haloumi cheese. Well, the selection of cheese displayed for sale, is much bigger from France, Italy and the Netherlands. And if you do not intend to buy anything, there is much to learn. 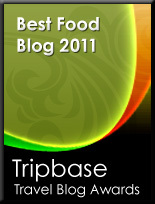 Cheeseline.com also offers a range of different gourmet products as risotto rice, pastas, honey, oils and much much more. There are also more or less cheezy accessories for sale. What about little paper flags to your buffet, "that will give your guest a fast glance of how internationally oriented you are." This and much more is for sale at cheeseline.com. One other interesting part of cheeseline.com is their section of cheezy recipes. Here you find hot and cold starters, breads, pastadishes, pie recipes, as well as cakes and desserts. Here you can find some mouthwatering ideas for you next dinner. So sit down and browse cheeseline.com. This will definitely be one of my main cheese websites in the years to come. 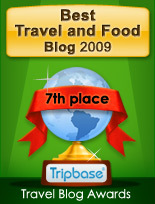 I discovered that Cheeseline.com has changed their name to Gourmet-Food.com and moved from Holland to Atlanta Georgia. They still have all the same fab cheeses.